This phone is good but i have have a problem htc desire C have only 1 GB internal memory, why i solve this problem, because it configure 4GB internal memory.please help me any one? My phone have only 1Gb internal storage, why ? Can someone help me? the display turns negative type.....hw to get back the normal display? Don't buy this phone for FREE. good phone, but no flash there.. Happy to know the desire c with os4 but the dilema is with 600gzprocesser will it be speed for net? Im looking to buy this cell. Is it a good option or should i go for explorer? 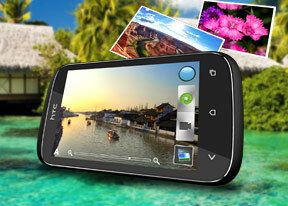 this is a good budget HTC. sadly let down by no flash on the camera. shame. other than not much to moan about.